These bears reside in the forests and mountains of northern America, Europe and Asia. The good news is that they are the most common bear in the world. The brown bear is omnivorous- they eat all sorts! From fish to plants, rodents to berries, they have a varied diet. They are particular fans of salmon – hence why John West uses them in their marketing campaign. In one day, they can eat up to 90 pounds of food. Fat reserves are needed for hibernation, where they rest. They range anywhere between 5 to 8 ft in size. The largest browns are spotted in British Columbia and Alaska regions. Even though they are huge they are also very fast! They can run at a phenomenal speed of 30 miles per hours, making them terrifying if startled in the wild. Male bears usually weigh around 700lbs – meaning they are tremendously strong and powerful. Female bears can be much smaller – up to 350 lbs. What is the relationship between bears and humans? Bears do not actively hunt humans but if they are surprised or feel under threat they can be dangerous. Mother bears are very protective over their young and if they sense that something is trying to harm their baby, they become volatile. In some parts of the world, bears are captured for human entertainment. Bears are often treated cruelly. 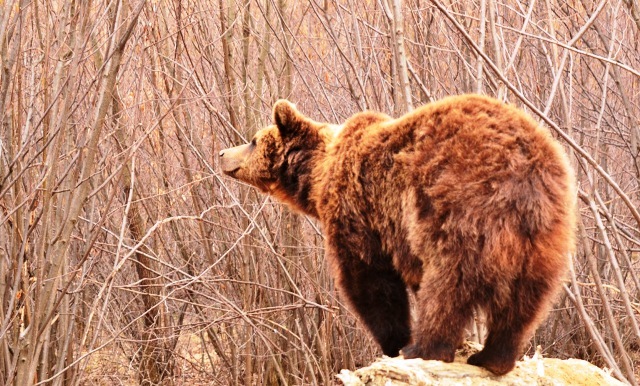 There are initiatives that have been created to help injured and abused brown bears. Other threats to bear survival are human expansion, climate change, poaching, the decrease of habitable land, hunting, and territory fragmentation. How often do they have cubs? A female bear will often give birth during the hibernation period in winter. They nurse the cubs until springtime. The mother can give birth to 1 to 5 cubs at a time. Cubs stay with the mother for two and a half years. This means that female bears usually only give birth once every three years. Brown bears dig dens for winter hibernation, often in hillsides. Mother bears usually give birth to their cubs during the winter hibernation period and nurse them until spring. They stay together for about 2.5 years before the cubs are ready to go off alone. 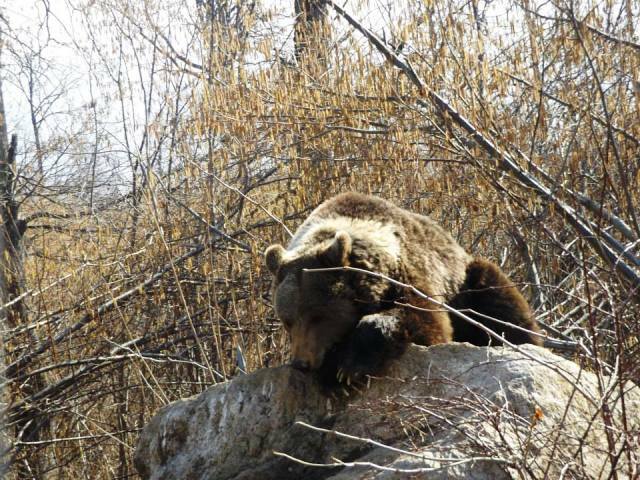 Sadly, the majority of the bears at the sanctuary do not hibernate. None of them will have learned how to do this in their previous lives in captivity – indeed, most of them were tortured out of the habit. The sanctuary staff dig a few dens each winter to encourage them to hibernate, and there was great celebration when one bear slept for a couple of weeks. Just the other 95 to convince now! Do brown bears live in groups? Interestingly, brown bears are quite solitary animals, with the exception of females and their cubs. There are times when they do congregate in the wild however. For example, every spring huge numbers of bears tend to come together in Alaska to fish for salmon. At this time of year, salmon swim upstream for summer spawning and it is a perfect dinner opportunity for the bears. 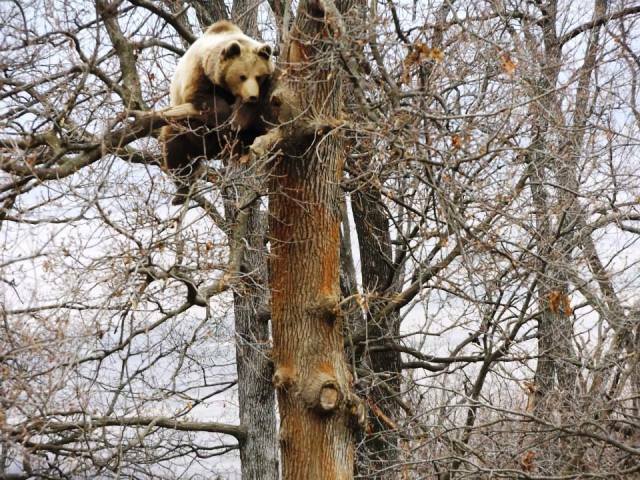 Despite their naturally solitary nature, the bears at the bear sanctuary in Romania enjoy living together. Because of the many years of forced isolation before being rescued, they enjoy having the company of the other bears around them. And because the sanctuary is so big, there is plenty of space for them to take time out and be alone. Bears live, on average, for 25 years. Interestingly, the brown bear is part of the sloth group. They are larger than their black counterparts. Young cubs can climb trees- the larger adults are too heavy! 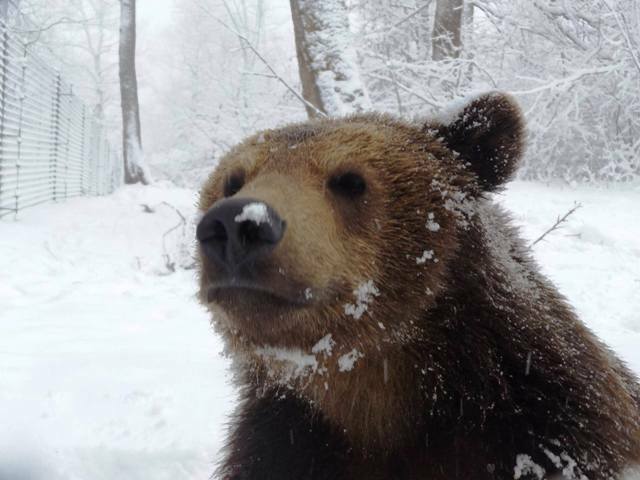 If you want to work with a charity to help rescue abused and neglected bears, check out our bear conservation programme in Romania. This worthwhile programme is one of our most popular programmes so book your place early! You can learn more and make a real difference to the welfare of these magnificent animals.